I was going into my senior year in college at Boston University in the summer of 1989.While I had fallen in love with some more recent heavy bands like Jane’s Addiction, Soundgarden, and Kyuss, I was thrilled when I heard that Black Sabbath were coming back to town. I informed my friends of the power and majesty of a live Sabbath show, and we got tickets. It was a hot night in the venerable Orpheum Theater which we later learned was sold out, and we were sweating before Led Zeppelin clones Kingdom Come hit the stage. (I don’t recall Silent Rage playing that night, but it’s possible that either they were utterly forgettable or that I simply arrived too late and missed their performance.) I wasn’t a fan of Kingdom Come before the show, and they did nothing to change my mind. 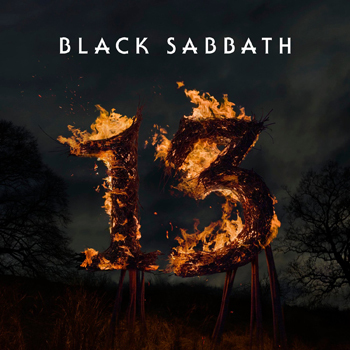 Now I had not seen Sabbath since Mach 6, 1986 since they did not come around on their Eternal Idol tour, so there was no way I was going to miss this. Since Headless Cross was released with the usual lack of record company support that Sabbath seems to have gotten since the mid-eighties, I had no idea it was coming out. That night would be the first time I heard such songs as Headless Cross and When Death Calls. The band were solid. 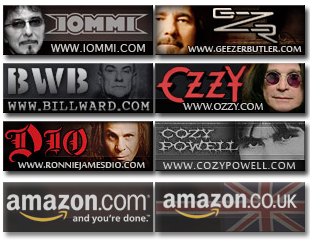 I was blown away that the drummer was Cozy Powell, a long time favorite. They played a nice mix of old and new tunes, complete with the “usual suspects” and some nice surprises. I had not expected The Mob Rules or Children of the Sea. My only possible complaint would bethat they didn’t touch the Born Again album, which I thought worked well live despite the poor production on the final release, or Seventh Star, which I still love. This was my first time seeing Tony Martin live, and I recall comparing him to the previous singers. Tony lacked the tortured moans and wails of Ozzy, the gothic pomp of Dio, and the historical weight of either Ian Gillan or Glen Hughes. However, he was able to sing well the songs of either Ozzy or Dio, and as I mentioned, Ian Gillan and Glen Hughes’s tenures with the band were not represented. My issue with him at the time, I remember thinking, is that he lacked a definitive “style” the way you could classify or pigeonhole the other singers. What I then thought of as a horrible weakness, I now realize is indicative of a strong singer who simply did not need to choose a single style because he was so versatile. Moreover, he did not need to adapt a stage persona to be a “front man” because he was not intended to be a “front man”; he was a part of the band who happened to use his voice as his instrument to convey the lyrics and melodies. I wish I knew then what I know now. After a very well-played set, my friends finally understood why I remained loyal to and obsessed with Sabbath despite my other musical passions. Some of them still go to see Sabbath with me each time they come around to our area.